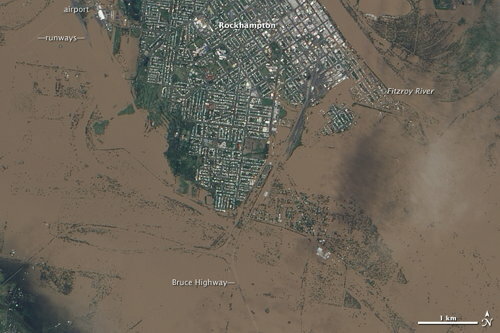 NASA’s Earth Observatory has a number of high-resolution satellite images of the floods in Queensland, Australia. Nearmap managed to get an even closer look at the flooding, with two-centimetre-resolution imagery taken on January 13 and 14. ABC News (Australia) has a very neat infographic where you can slide between photos of the flooded areas and photos taken before the flooding. Flood imagery is available directly on Nearmap’s website, where you can select aerial imagery by date for comparison. More on the Nearmap images from the Brisbane Times . Via Google Maps Mania, @HodderGeography and Slashgeo. Via Google Maps Mania: Above Photography’s aerial photography of the floods. Google also has some map resources. 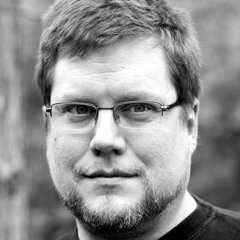 Some links from Google Maps Mania.